Whether you call them coffin nails, cancer sticks, or square, the fact is cigarettes have negative effects on your body. Most smokers start when they are young and evidence shows that peer influence plays a factor in determining who smokes and who doesn’t. Not only does smoking repel people because of the smell, but it also has long term health effects that can ultimately lead to death, not to mention it also costs a lot of money in terms of health insurance. Some might say the smell of smoking is the first thing that turns them off from smoking. Smokers are less aware of the smell of smoke since they become used to it. 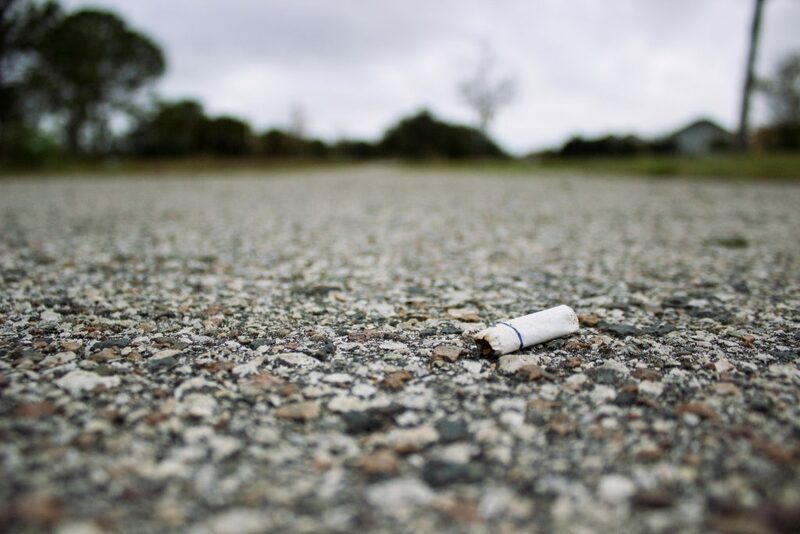 Steven Schroeder, MD, director of the Smoking Cessation Leadership Center at the University of California at San Francisco, says that smokers are commonly self-conscious about the smell of smoke on their clothes and in their hair. Breathing in the hot fumes of cigarette smoke is toxic to the senses and can cause some smokers the loss of smell and taste. According to the American Academy of Dermatology, smoking leads to biochemical changes in the body that speed the aging process. Cigarettes also leave a nasty yellow stain on the hands and teeth of smokers, which can be unappealing or make the smoker self-conscious. There are over 4,500 different chemicals found in tobacco smoke, and more than 40 of those are known carcinogens. Carcinogens are substances capable of causing cancer in our living tissues. In fact, smoking is a leading cause of cancer and death from cancer. It can cause cancers of the lung, esophagus, larynx, mouth, throat, kidney, pancreas, stomach, bladder, liver, and cervix. Tobacco smoke causes nearly 480,000 premature deaths each year in the United States. Out of those deaths, 36% are from cancer; the percentage of heart disease and strokes is around 39% and lung disease is 24%. Not only does smoking affect your health, but it also targets your wallet when it comes to insurance. Even though the Affordable Care Act enabled those with pre-existing conditions to purchase qualified coverage, they still penalize individuals who use tobacco. The insurance carriers can charge up to a 30% surcharge or a rate-up off the base premium. If the premium for a silver plan is $1,000/month, the insurer can charge 30% more if you smoke; that’s an extra $300/month for a silver plan. Health insurance is not the only type of insurance to penalize smokers; there’s also supplemental insurance, as well as life insurance. As for life insurance, carriers can apply smoker rates. You can quit for 12 months and still have smoker rates. In some cases, you have to quit smoking for 3 years to qualify for non-smoker rates. So keep in mind, smoking not only hurts your health but can cost you a lot of money. If you would like tips to help you quit smoking or would like to learn more about its effects on your body, you can find more information at Smokefree.gov. The website was created by NCI’s Tobacco Control Research Branch, who use the Step-by-Step Quit Guide. You can call the NCI Smoking Quitline at 1–877–44U–QUIT (1–877–448–7848) for individualized counseling, printed information, and referrals to other sources.